Beautiful pattern. WOW!! And so easy to make. Thank you so much!!! Thank you! Perfectly Sweet Fabric Collection Giveaway - Pookie Luna Fabric (3 half yards a a 20-strip Jelly Roll) arrived today! All the clicks to enter are rough to get thru ..up to 40 ads sometimes ( BUT to have to do a Tarot Card reading to even get first ad..THAT is not cool..it is Wrong!! Grrrrrrr!!!! I have never made one of these but it looks like a lot of fun to do. They are ugly but soooooooooo cute, too. The Point Press finally arrived yesterday. Thanks Christine! Very disappointed. Received an e-mail on June 18, 2018 that I had been chosen a winner of the Point Press prize. I was so excited and immediately emailed back the requested information. Oddly, the information requested was the exact information on the entry page. Then I waited. On June 26, 2018 received another email saying I needed to send the information or they would give the prize to someone else - the same information I had already provided - twice. I sent it again. On July 19, 2018, I tried messaging through facebook and received an answer telling me to send the information (again) to same email I had already sent it to. I was told (through facebook) there were email issues so I sent the email chain and the information (again) from a different email address and was told it was received. On July 23, 2018, I received - received this email - "Thank you for being so patient. Like I mentioned before, I will get back to you when I get an update as to what we can send your way." Asked for an update on August 2, 2018, and no response. I now wonder if anyone ever receives any prize? Too many pop ups to use this site. Your giveaway page has so many pop ups that it won't let me sign up! It also says my email address is invalid. You sure can send me as with it. I know that you need sponsors, but.....I did not agree to these new promotional emails which I've recently started to receive. You should offer a means by which to cancel this feature. Additionally......too many pop-ups. I'm beginning to reconsider receiving any emails from your sites. Why in the world does it matter what gender we are to enter a giveaway??? After I enter a contest, I don't get a confirmation. I have been getting a message about file or directory not found. What's going on? Is it a hiccup? Are my entires going through? 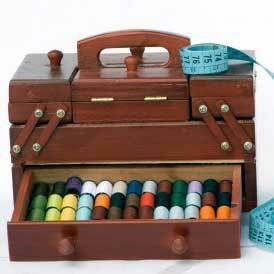 Please May i know the results of who won bernina sewing machine! Why do I have to click through "Offers" to have my entry confirmed??? How do I access saved patterns? I love the choices and hope to win! Thanks for the inspiration! Your sweepstakes are too time-consuming to enter. Why the change in format?